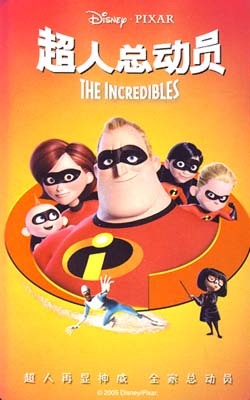 Filmmaker Brad Bird gives us a family of "supers," a brood of five with special powers desperately trying to fit in with the 9-to-5 suburban lifestyle. Of course, in a more innocent world, Bob and Helen Parr were superheroes, Mr. Incredible and Elastigirl. But blasted lawsuits and public disapproval forced them and other supers to go incognito, making it even tougher for their school-age kids, the shy Violet and the aptly named Dash. When a stranger named Mirage secretly recruits Bob for a potential mission, the old glory days spin in his head, even if his body is a bit too plump for his old super suit.